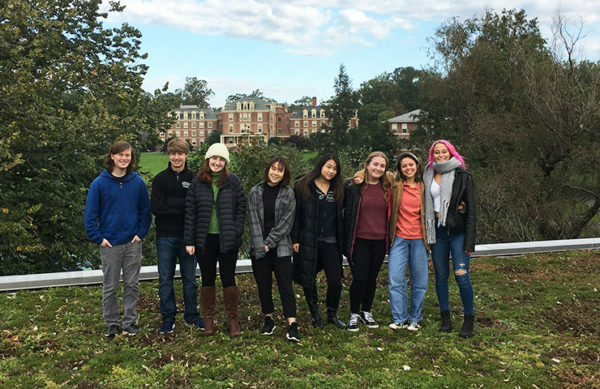 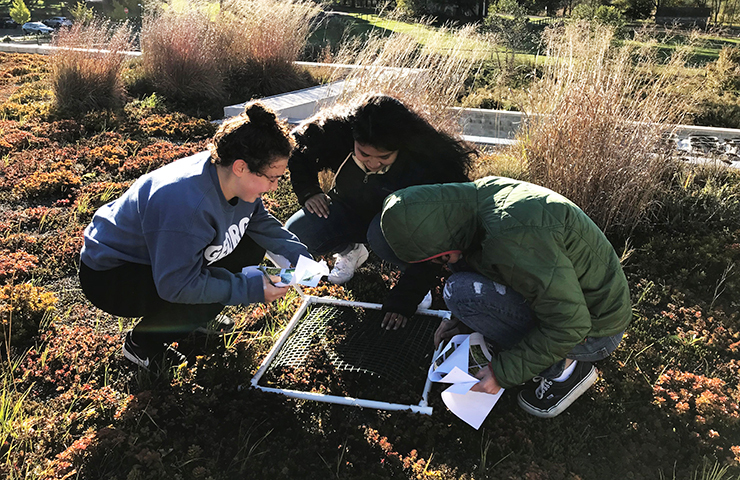 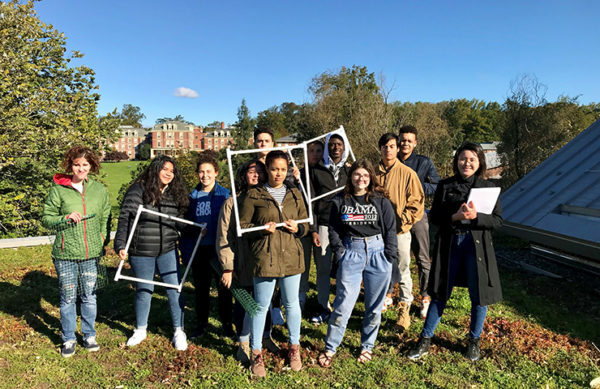 George School Environmental Science classes explored the green roofs on campus with teachers Becky Hutchins and Robert Fest. 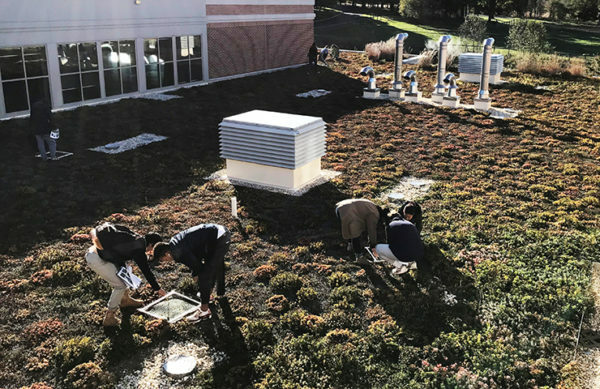 Their goal was to understand the important role green roofs play in storm water management, their natural ability to keep buildings cooler in summer and warmer in winter, and their potential as a carbon sink to reduce the effects of climate change. 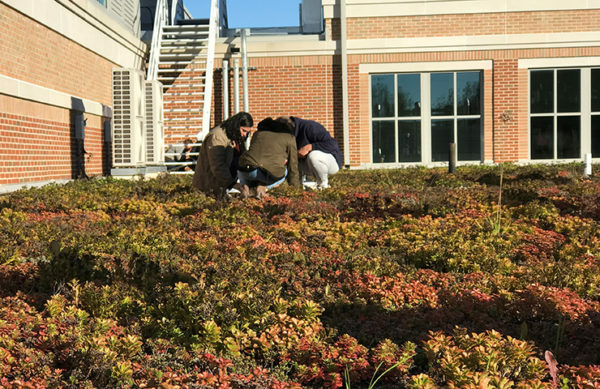 Each group of students may approach the data they gather in a different way, asking questions about how the biodiversity of plants is different on each roof, why a particular species is more abundant than others, why weeds are more abundant on one roof or the other, or other questions brought to mind by their observations.